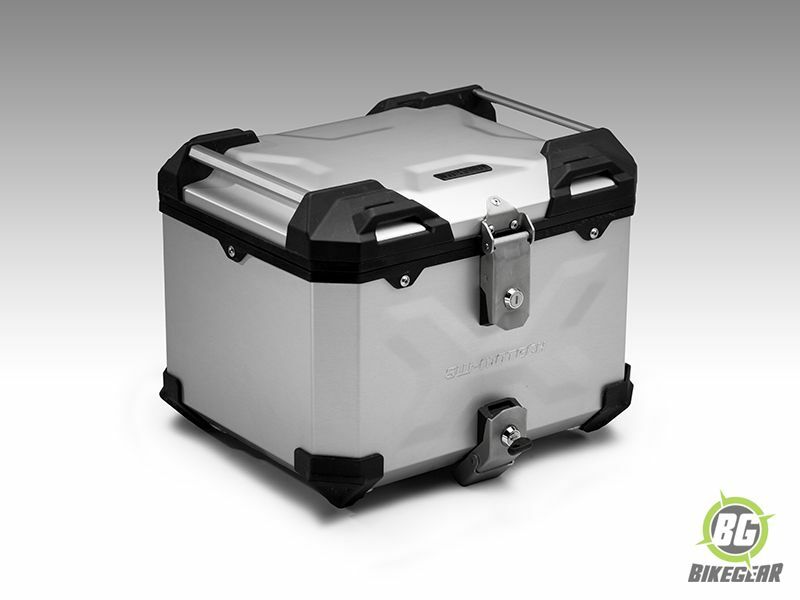 Hit the trails with all your stuff in tow with this SW-MOTECH TraX ADVENTURE Topcase Kit. Includes Top Box and plate. 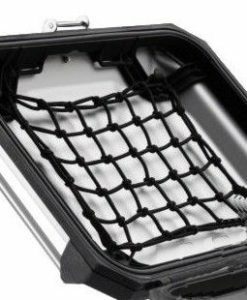 SW-MOTECH Steel Toprack features a strong, integrated, lightweight steel design. 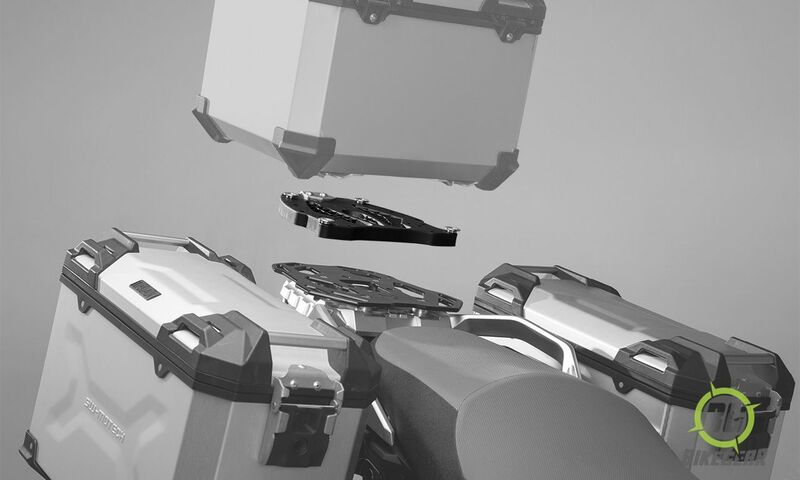 The smart, multi-functional design accepts many brands of topcases. 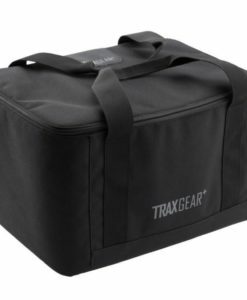 Take to the road with the SW-MOTECH TraX ADVENTURE Topcase Kit. 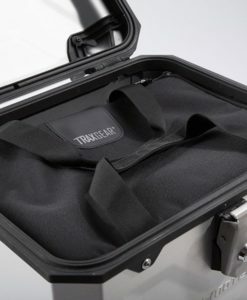 Each rugged system includes a steel rack with mounting hardware, Keyed Locking Quick Fasteners and a versatile 38 Liter top luggage case in your choice of powder coated black or anodized silver. 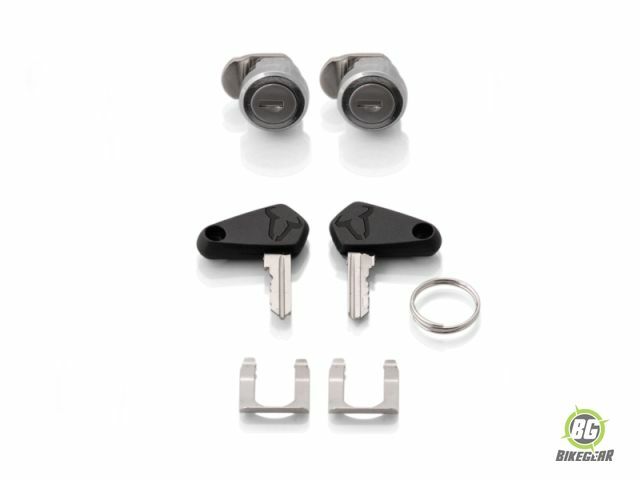 This feature-packed kit is the superior system to keep your belongings protected from the elements due to a highly durable construction and a truly weather resistant design. 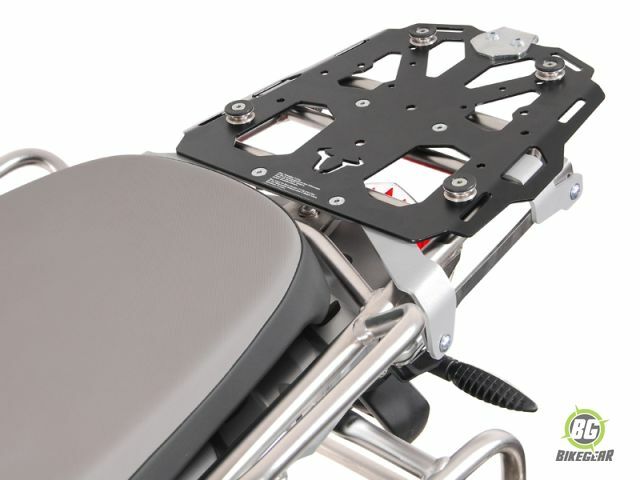 The heavy duty steel rack adapter plate provides a sturdy connection to mount the case to your bike; letting you enjoy your ride and not worry about your luggage system failing. 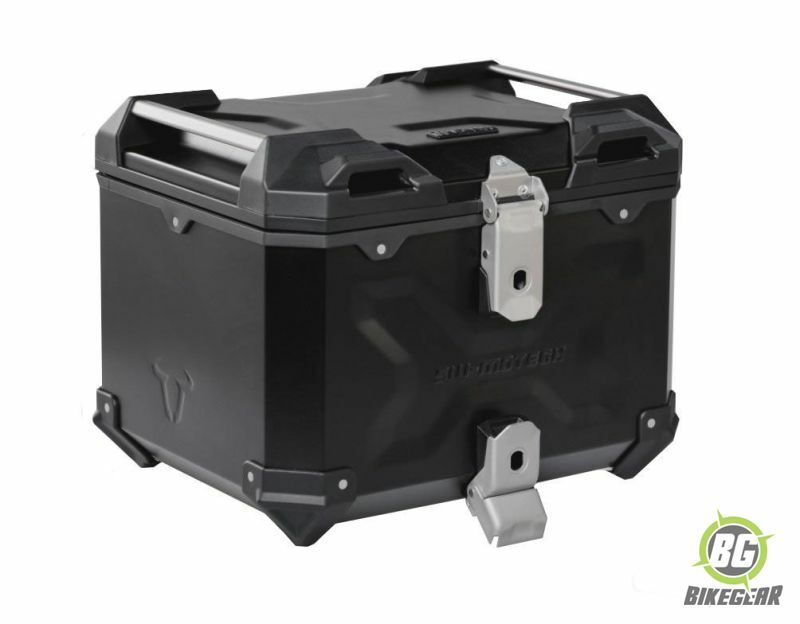 This top case kit takes the guesswork out of which parts you should order to mount your luggage and lets you get back to planning your adventure! 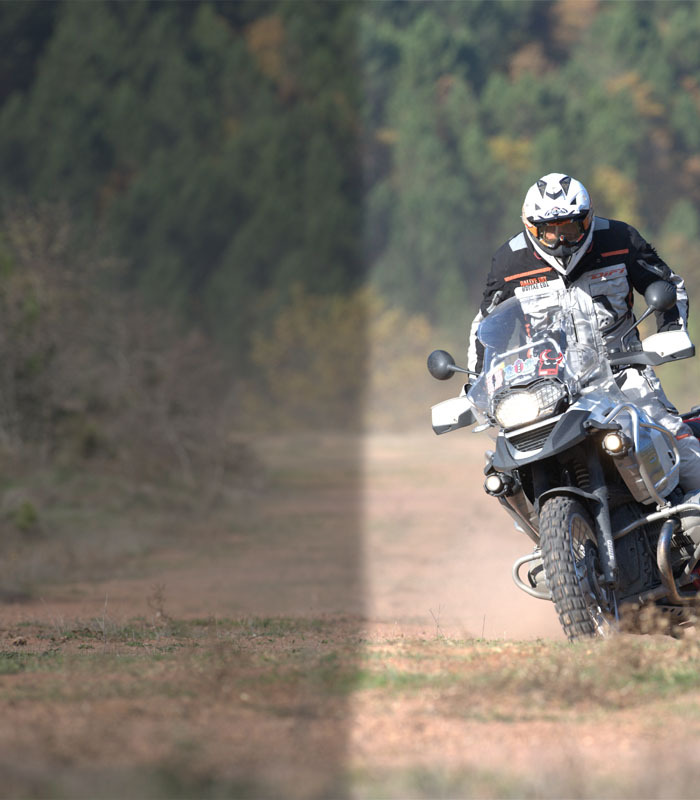 Topcase accommodates one full face helmet of most brands. 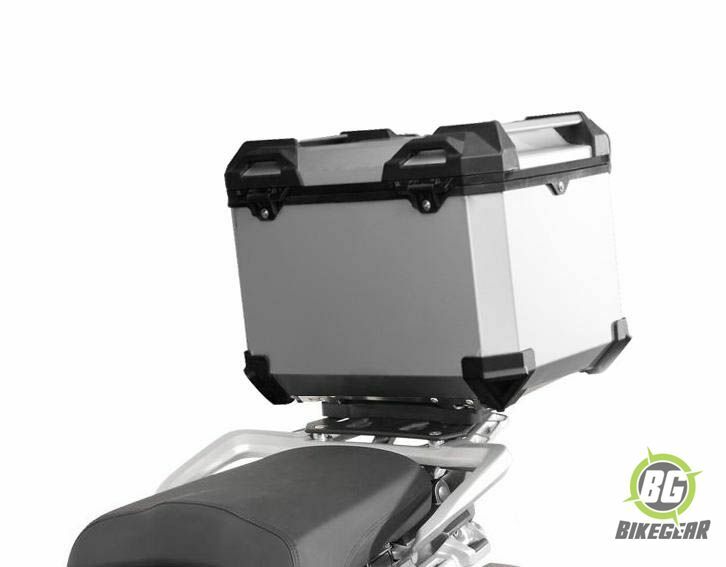 Topcase Dimensions: 400 mm x 330 mm x 320 mm. 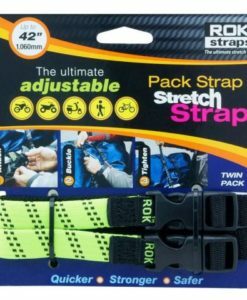 ROK Straps Green 2 Pack Pack Straps are specifically designed to secure smaller items. 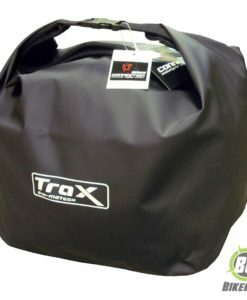 SW-MOTECH Trax Water Proof Inner Bag will keep your contents dry.